Back to previous page | Home Behind the Scenes – Roll up, roll up! Anybody who watched the Hollywood blockbuster The Greatest Showman, starring Hugh Jackman, could be forgiven for thinking American PT Barnum was the man who dreamt up the idea of the circus. In fact, that honour falls to Englishman Philip Astley, who in 1768 roped off a circular piece of land in London and thrilled a crowd with his daring horsemanship and ‘trick’ riding skills. 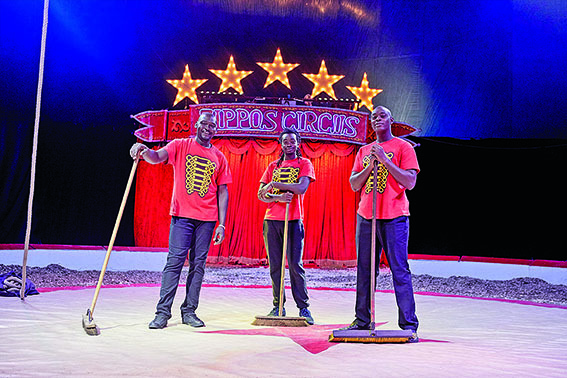 Now, 250 years on, Zippos Circus, the biggest in the UK, is continuing the tradition. 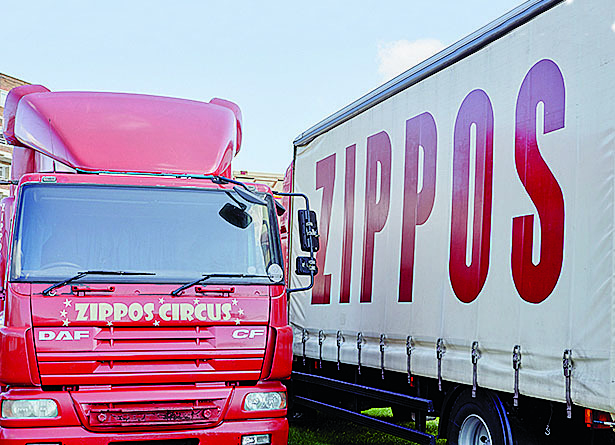 Zippos was founded just over 30 years ago by Martin Burton, a drama teacher, who reinvented himself as ‘Zippo the Clown’ during a lean period of work. 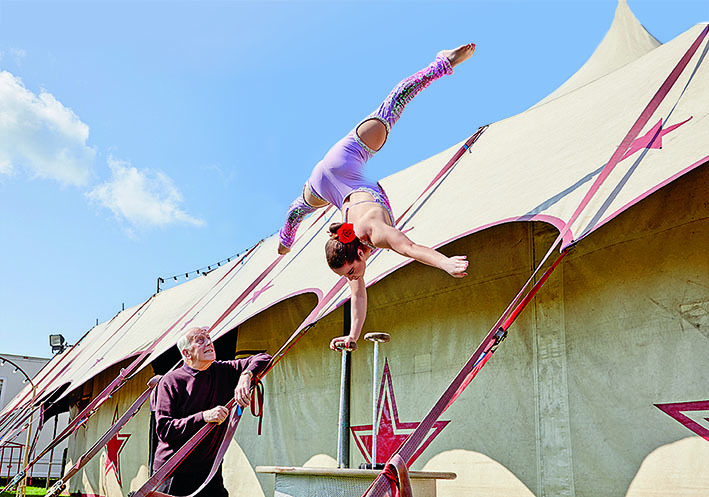 After a spell of street entertaining, Martin put the circus together, which now tours the UK for seven months of the year – giving performers a chance to rest, return home, try out new acts or over Christmas join Zippos’ spin-off company Cirque Berserk, which takes pride of place at Winter Wonderland in London’s Hyde Park. It takes a lot to move the circus around the country. Moving day is conducted with military precision and the 50 vehicles including 20 of the huge branded wagons often travel through the night to set up at the next venue. An advance party is sent ahead to prepare the ground for the tent and the paddock for the horses. The tent and all the seating is the last thing to be moved. The box office is the first thing to be erected at the new site, so people can purchase tickets from 9am. 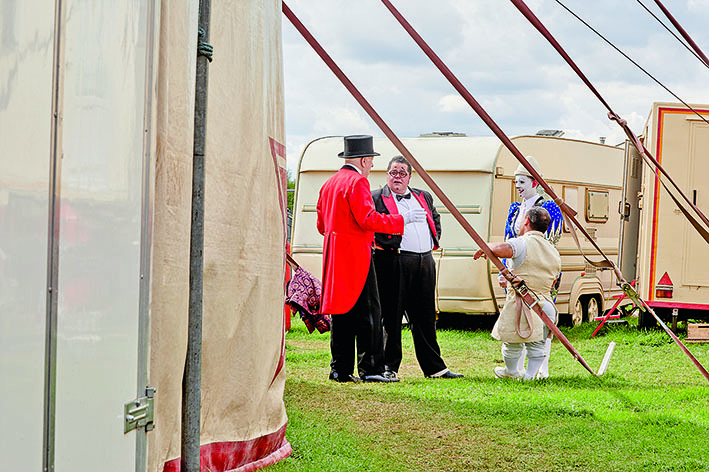 However, there’s often a three-day wait for local council health and safety and animal welfare officers to complete their inspections and issue the relevant certificates before the next show can go ahead. 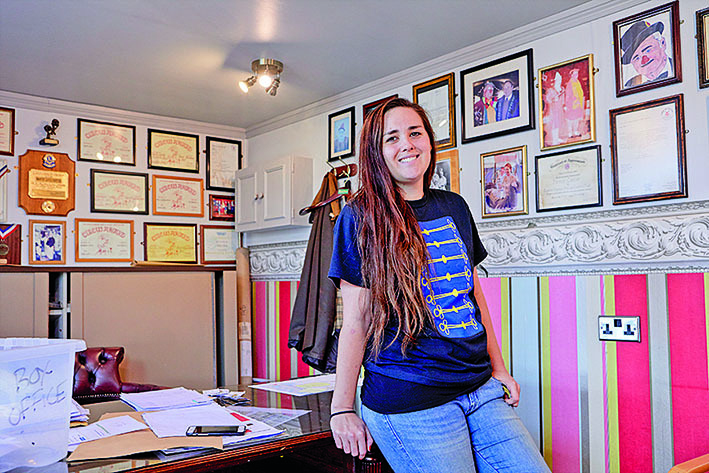 Laura Austin, 35, leads the box-office team. Four years ago, she was a housewife in Swindon, but hubby Patrick drives the Zippos lorries and persuaded her that life on the road was fun. Now, Laura travels with the circus and home-educates their three children. “They tour the country and meet people from all over the world – I can’t think of a better education than that,” she says. Laura loves chatting to families at the ticket window and answering their questions about the show. Ring boys Daniel Marango, David Amolland FelixNyaranga(all Kenyans) have the important job of ensuring the ring is spick and span and making sure the various acts’ props are where they’re meant to be. It takes five hours to dismantle the big top and eight hours to erect it, with everyone from the team mucking in to help to pitch the tent and put up the seating. 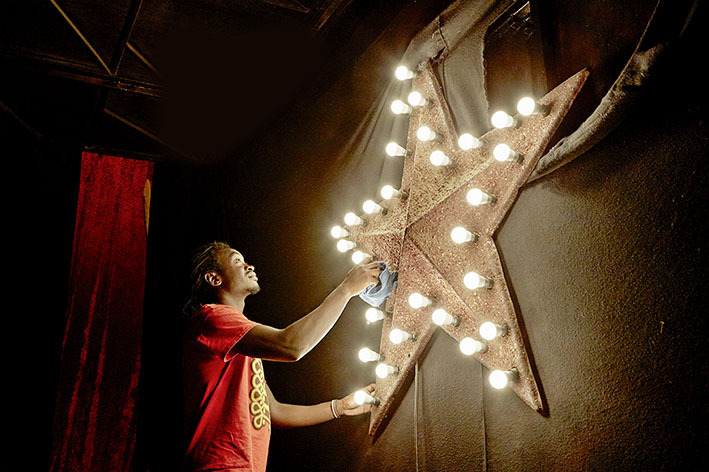 There are more than 5,000 light bulbs in use at Zippos, both inside and outside the big top. The job of replacing and polishing them falls to Felix. “If the bulbs are dusty they cast strange shadows. I’ve become lightning fast with the duster,” he says with a chuckle. 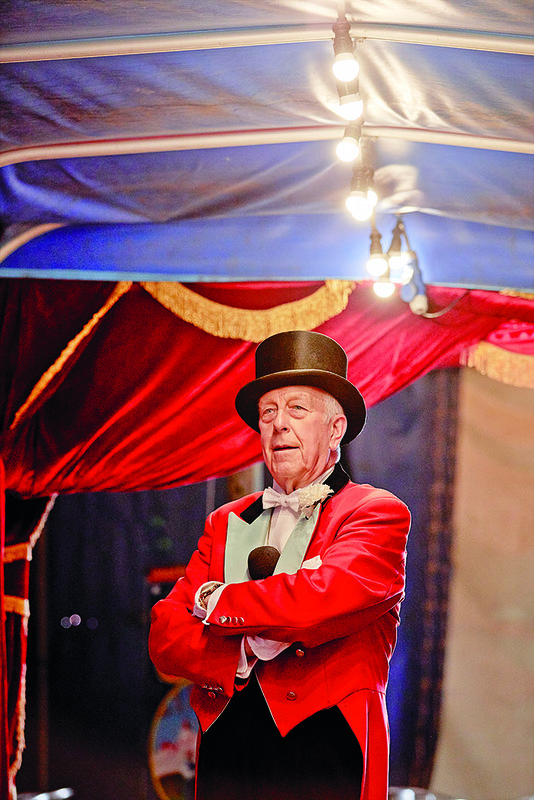 At 82, ringmaster Norman Barrett says he’ll never consider retirement. “What a horrible word,” laughs the man who introduces the acts every night and has his own performing budgie routine. He’s been in show business for more than 60 years and with Zippos for 16 years. 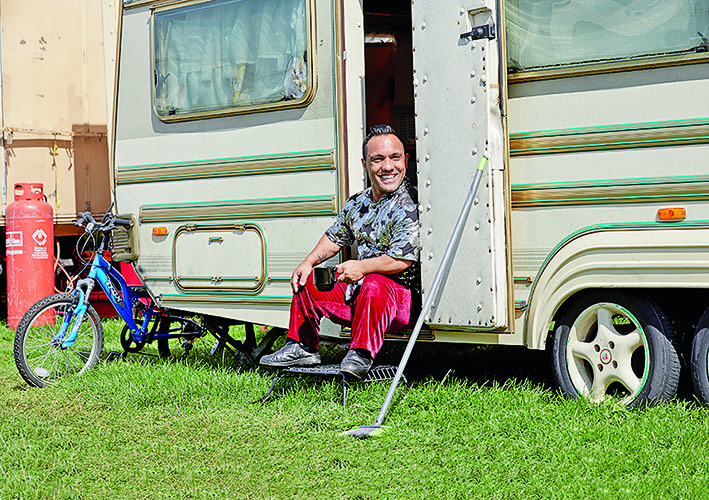 When on tour with Zippos, he lives with his wife, Sally, and the 16 budgies he trains himself. He has three ringmaster red coats, which he brushes before every performance, and four top hats, including one worth £400 that is too valuable to wear. At 3ft 11in, classmates laughed at Paulo Dos Santos, 34, when he said he wanted to perform traditional capoeira dancing back in his native Brazil. Wounded by their jibes, he went away, spent hours training and won a national competition. “I proved I can do anything I set my mind to,” he says. 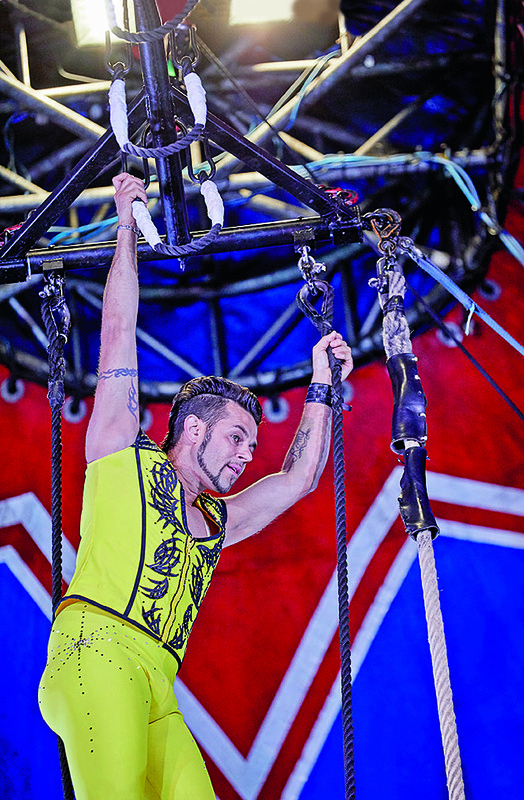 Now, Paulo performs as a comic acrobat in the ring. Out of the ring, though, he is known for throwing the best barbecues at Zippos. 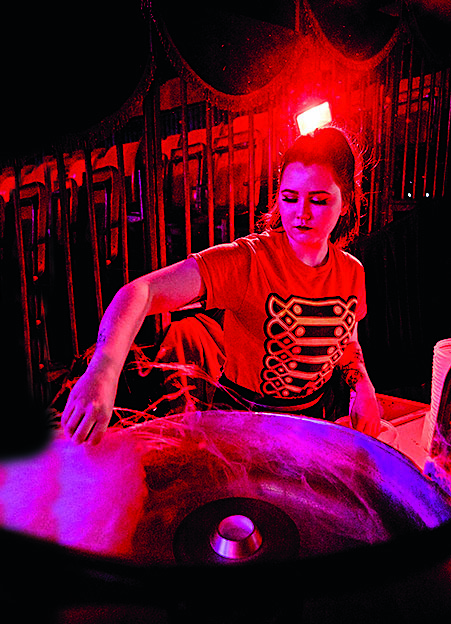 Candyfloss maker Holly Faulkner, 25, says there’s a real knack to spinning the sugar and admits it took many attempts to perfect her stick skills. She much prefers making it in the winter as apparently the summer heat makes the floss floppy! When not spinning huge bags of sugar into the sticky, tasty treat, Holly helps out with the box-office team. 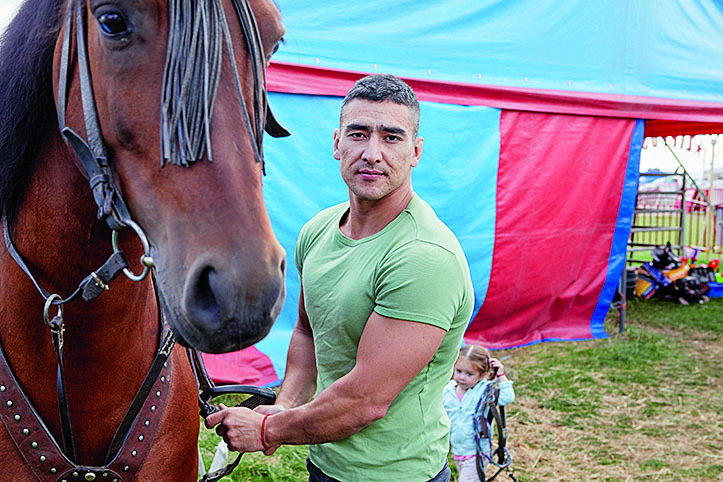 Calm horse whisperer Tamerlan Khadikov, 33, from Kazakhstan, dotes on his rescue horses and puts their welfare above his own. “If a horse doesn’t want to learn, we don’t force them, but the ones we have here love their job. They are so clever and have amazing temperaments.” Tamerlan always walks his horses around the circus ring an hour before show time in a clockwise and anti-clockwise direction as part of their preparation for their daring act, in which Tamerlanand his troupe (including his wife, Helena) perform incredible acrobatics on horseback. It takes Totti Alexis just 20 minutes to apply his clown make-up before a performance. The same can’t be said of his wife, Charlotte. A traditional whiteface clown, her make-up takes an hour. 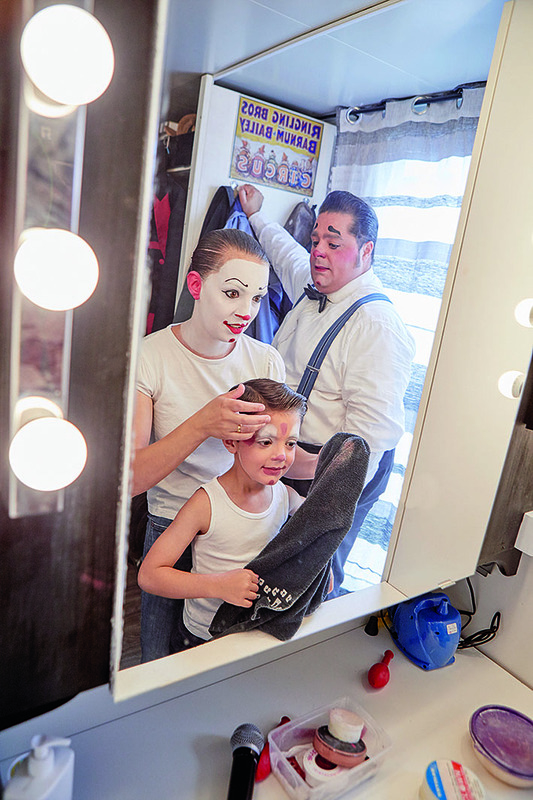 “I use only the best stage cosmetics so it doesn’t harm my skin,” Charlotte explains, before adding that despite the scary image of clowns, she finds the kids aren’t afraid of her and queue for selfies after the show. Their son, six-year-old Charlie, also takes part. He plays the trumpet, although he had trouble hitting notes when he lost one of his front teeth. The family, including four-year-old Maxim, live together in a large caravan when on tour. Norman Barrett isn’t just the ringmaster. To the cast of performers he is also ‘Uncle Norman’, always on hand for a bit of a chat, calm advice or to help with problems. “If they want a doctor, a dentist or even if they’re just a bit homesick and want a chat, then they come to me,” he says. 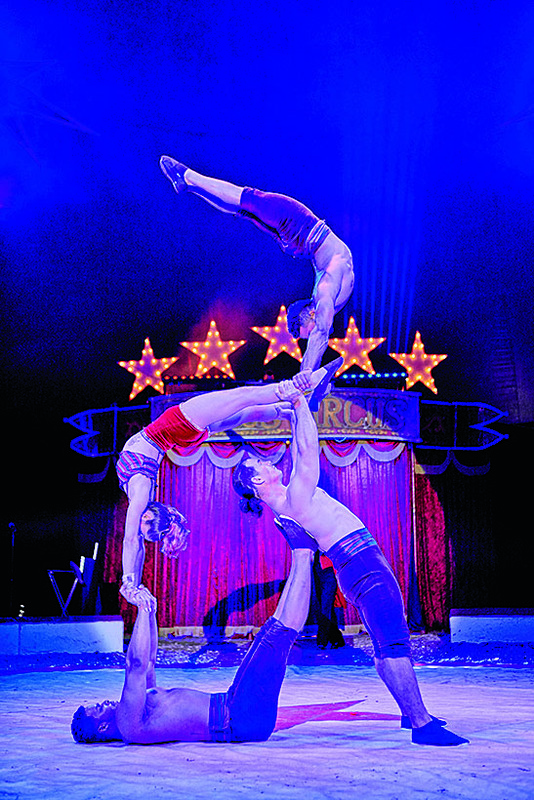 Fresh from the Cuban State Circus, the Havana Quartet are enjoying their first season at Zippos. Their act relies on incredible upper-body strength and control as they build a spectacular human pyramid. Each of the guys works out with free weights to keep their muscles pumped between performances. When you perform a trapeze act without a net to catch you if you fall, then safety is everything. Alex Michael, 41, from Brazil, checks his equipment twice a day – first thing in the morning and then again one hour before the show. “I check the tightness of the nuts and bolts and make sure all the ropes are healthy and not fraying,” he explains. 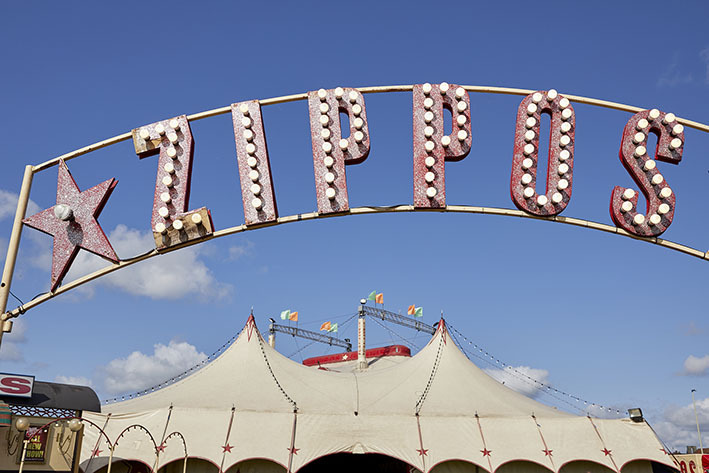 Zippos’ current big top is five years old and custom-made in Italy from flame-retardant plastic membrane designed to withstand 100km-per-hour wind. It’s held up with four ‘king poles’ raised high to give the audience the best view. It’s all hands on deck when the tent is washed, a mammoth job involving gallons of washing-up liquid, dozens of brooms and a lot of hose water. 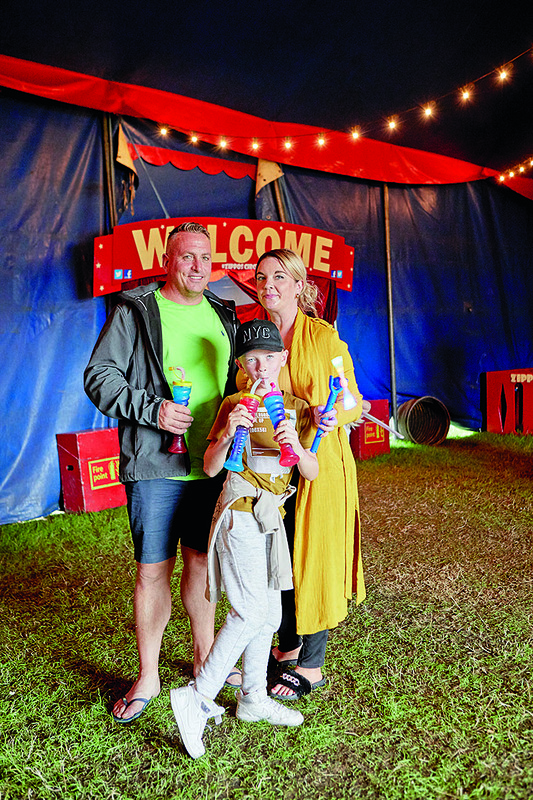 The Cato family from Bexhill in East Sussex love circuses and mum Ami and dad Tony try to visit one every year. “It’s much cheaper than the theatre and with far more variety,” says Ami. A huge fan of The Greatest Showman, Archie, 8, enjoyed the performance of Tottithe clown the most. “I don’t find some clowns funny but he really made me laugh,” says Archie.